The Institute of Advanced Engineering and Science Indonesia Section (IAES) Indonesia Section supported by IAES initiated the establishment of Indonesian Publication Index (formerly Portal Garuda Indonesian Publication Index) in 2012. 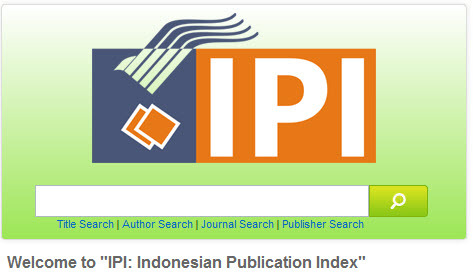 The Indonesian Publication Index (IPI) is designed for browsing, indexing, abstracting, monitoring and improving the standard of scholarly publications in Indonesia. It is estimated that there will be over 2000 Indonesian journals for inclusion in the IPI database. The contents are very important to be made visible globally, so that Indonesian academics and researchers can be identified his/her expertise, areas of possible collaboration, stimulate use and citations.